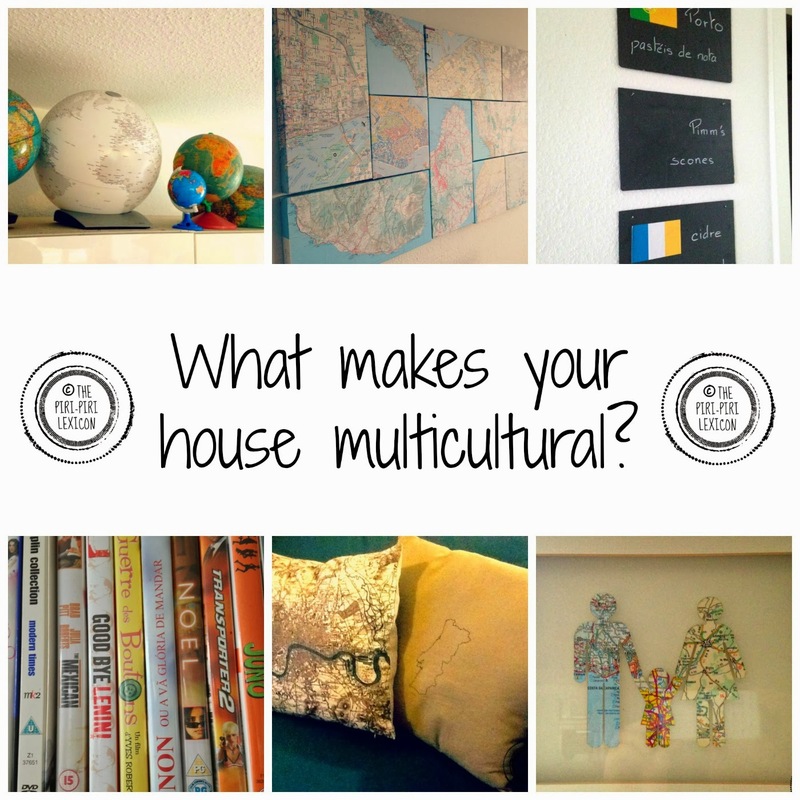 What makes your home multicultural? 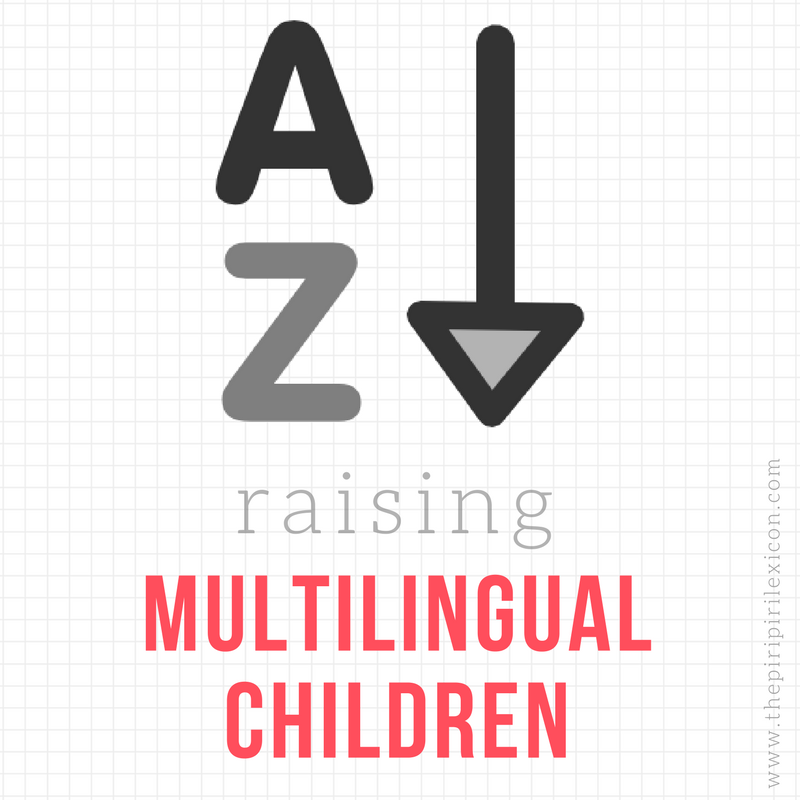 As expats and part of a multicultural family, you can bet that our home does reflect our origins and the places we have lived in and travelled to. 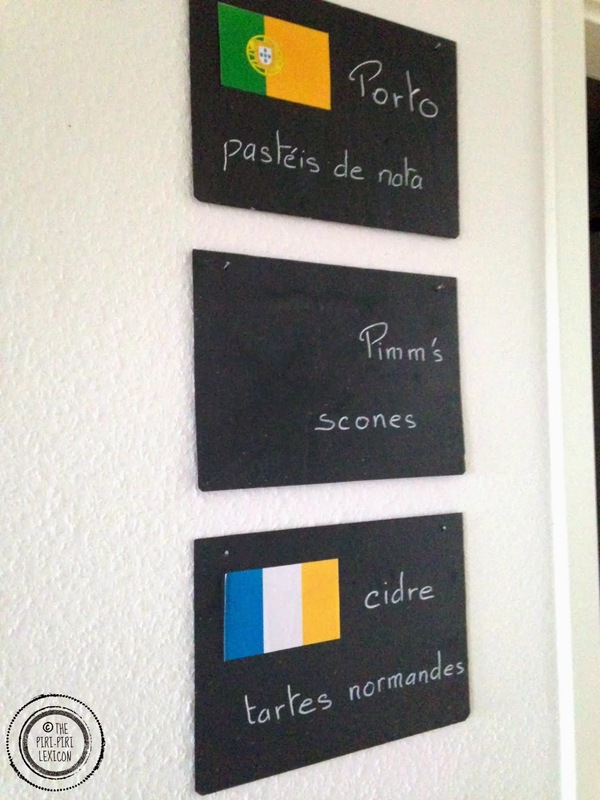 Here are a few things around our home that make us maybe a little different from the average German home around us. 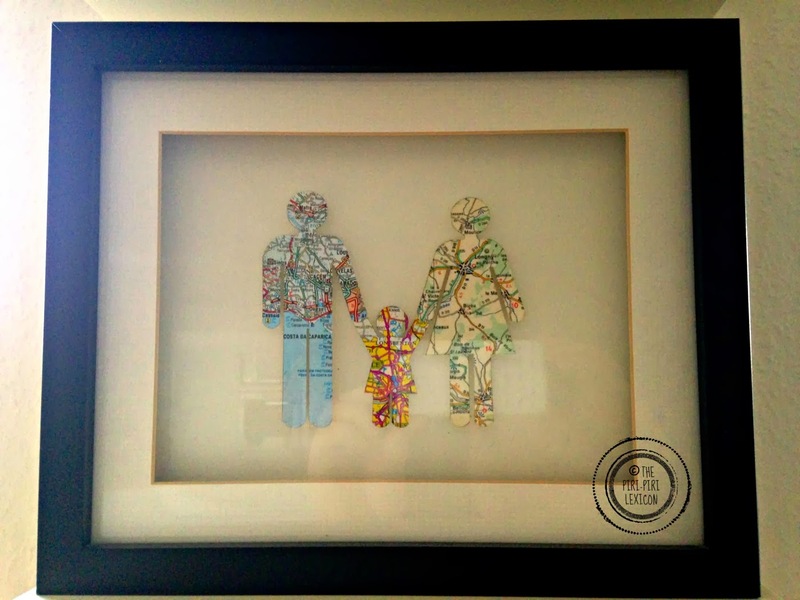 Maps maps and more maps... From our cushions to kitchen cupboards, we have them dotted around the house. With a love of travel and a transport engineer in the family, it seemed logical to have maps around. They are also a very cheap way to decorate your house and discover the world. We have an ever-growing collection of globes we like to look at when P goes travelling. We love this little creation handmade specially for us. It sits in our living room and is a major talking point when guests visit. It represents each of our birth places. We also made this behind our dining table. It represents some of the trips we have taken. LJ often asks about each map and she loves to hear about what animal we saw, what happened or what people eat there (even if she was tiny for some of the holidays or not even born). 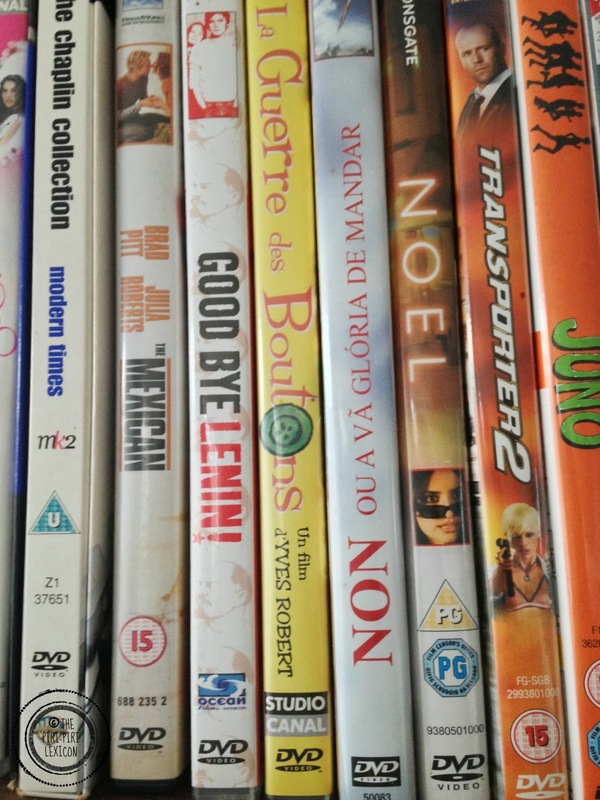 We, of course, have a rather eclectic collection of DVDs and books (in 4 languages... or maybe even more, I am not sure). Finally, we have these 3 signs hanging on the way to the kitchen. Even if the flags are faded (and one is missing), they represent our family the best. We used these on our wedding day as a little guide to what was being served during the cocktail hour (vin d'honneur). What about you? Is there anything that makes you a little different from the other homes around you because of your origins or your travels? 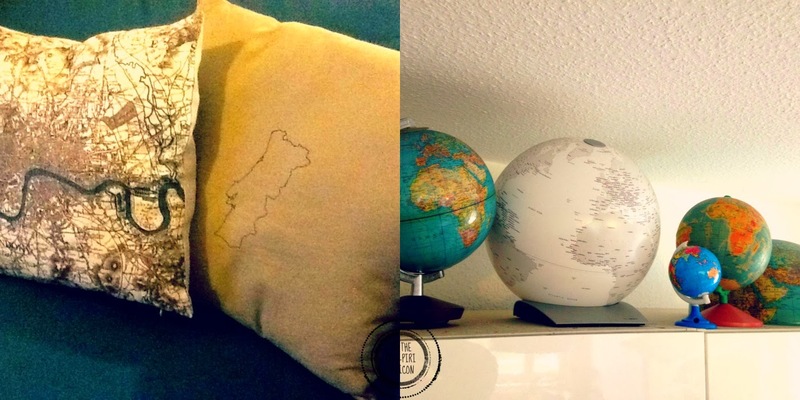 I love those birth place map people! Such a clever idea. No, go ahead... I am still writing it. Won't get done until tonight. I am in love with these ideas and inspired. 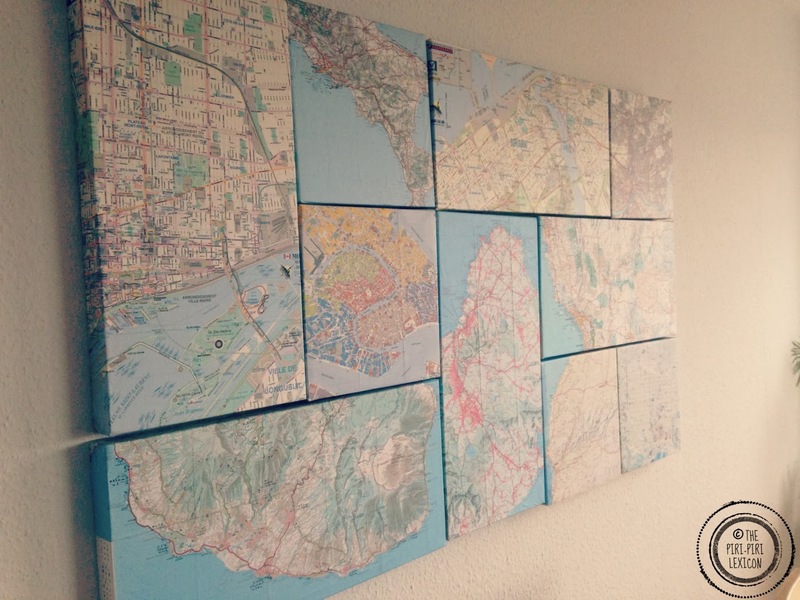 How did you make the map canvases? A map, some mod podge and a canvas. Make sure you put a coat under and two or three coats above the map. Easy, quick and cheap. Thank you, will be making them soon! It has been fun to collect child-friendly items that evoke such disparate places---and I hope they pique my son's curiosity and give him the travel bug!